The display quality is much as I expected but the display scaling support seems to be variable between programs when the text is small. However, this is partly compensated for by excellent contrast and good sharpness. Battery run time under real-life conditions is lower than I had hoped for (the under-capacity new battery doesn’t help). On a more positive note, my fingers like the keyboard action and the touchpad is more usable than I expected. The E7440 provides excellent value for anyone willing to watch the current stock in the Dell Outlet. Dell has clearly put a lot of careful thought into the Latitude E7440. It offers business users a durable 14in Windows laptop that can be configured with all the required security and connectivity options, if necessary, and even offers a wireless-docking option if required. The Latitude E7440 offers all this while still exuding a certain amount of style, and certainly wouldn't put any business professional to shame for carrying it around. The battery life slightly lets the system down, but as Dell has designed its system with a removable battery that can be swapped for a spare, we will let that criticism pass. The Latitude excels in several important areas. Its components are the match of its rivals, the screen has a high-resolution, great brightness and a matte finish, and it’s got excellent ergonomics and connectivity. It’s all contained inside a chassis that’s one of the sturdiest on the market – a key attribute for a business machine. The screen’s mediocre colour accuracy means the panel doesn’t have the all-round quality of the Sony, though, and its battery didn’t last quite as long as the VAIO. Lenovo’s machine has a better keyboard and trackpoint. 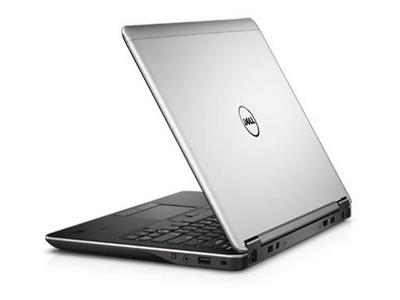 The Dell Latitude E7440 Touch ($1,949 list) is part of Dell’s Latitude 14 7000 series of business ultrabooks. The rugged Dell Latitude E7440 Touch business ultrabook offers a nice mix of premium features, good performance, excellent battery life, and compatibility with other E-series Latitude laptops in Dell's stable. The Dell Latitude E7440 Touch is somewhat pricey at just under $2,000, but we are talking about a premier business ultrabook with staying power, full IT capabilities, and a premium exterior finish as well. With its touch screen and full ultrabook specs, the Latitude E7440 Touch outpaces the Dell Latitude 6430u. It also has more business-friendly features than the Lenovo T440s, including wireless dock support, exposed carbon fiber for a more distinct appearance, traditional mouse buttons, HDMI, and more storage. All this earns the Latitude E7440 Touch our Editors' Choice for business ultrabooks. No, the Latitude E7440 isn’t quite the head-turner that some ultrabooks are, but it has a classy, professional design that’s ideal for the workplace. Dell slipped in some attractive design features, though, including the beveled underside for easy gripping (and a cooler profile) and the backlit keyboard. Equipped with a 1.9GHz Intel Core i5-4300U processor, 4GB of RAM, and a 256GB solid-state drive, the Latitude E7440 Touch zipped along in our benchmark tests. At $1,849, Dell's Latitude E7440 Touch is costly compared to other business notebooks. But thanks to its beautiful 1080p touch screen, attractive and durable chassis, excellent keyboard, comprehensive security features, and three-year warranty, it's worth it. The sturdy Dell Latitude 14 7000 Series is generally excellent, with rapid components, extensive connectivity, a good screen and comfortable keyboard, but it can’t quite become the ultimate office Ultrabook: the battery life can’t match the MacBook Air’s longevity, and its £1522 price makes it pricier too. The Latitude gets so much right, with its high-end components, superb connectivity, good screen, responsive keyboard and stunning build quality. It just misses out on full marks due to the mediocre battery and machine’s £1,523 price makes it expensive. However, the Latitude E7440 is well worth consideration if you have the budget. The Dell Latitude 7440 is a strong entry that offers a number of advantages for business users. The device boasts strong performance, a beautiful HD touch screen, boisterous high-quality audio and a sleek attractive sturdy design that is perfect for users who travel. But it's hard to choose the Latitude 7440 over Lenovo's ThinkPad T440s, due to the device's sub-par keyboard. As an enterprise device, the Latitude's first priority is productivity and the keyboard is essential component in a productive machine. At $1,850 having a keyboard that flexes with limited tactile feedback is hardly acceptable. Not to mention that the device offers sub-par battery life, somewhat detracting from the notebook's portable design. The Dell Latitude 7440 is a business Ultrabook that offers solid Haswell performance, a rich full HD touch screen and impressive audio in a design that's both attractive and tough. Frequent travelers and office workers will definitely benefit from Dell's Tri-Metal military-grade chassis, which is built to handle the bumps, bruises and extreme temperatures that come with being on the road. One of best tests of a business laptop is to to simply write the review on it, without additional keyboard or mouse. In that respect the Dell Latitude was efficient, quiet and stress-free at producing this 2700-word report. Plug in an external monitor and it’s an instant workstation. Assuming our little keyboard and casing issue (see above) were just pre-product QC issues then the build is solid and the working fascia with the FullHD matte display is superb. Ports are plentiful, upgrade is easy and Wi-Fi performance seems high quality. With those bases covered it’s a great starting point. Add your required security (the only option missing on the Dell site were self-encrypting drives) and make sure you buy the battery capacity you need (don’t forget the quick-charge feature) and you’ve got yourself a high quality Ultrabook. Price may be an issue for the privateer but we suspect not for an IT department who will be considering TCO rather than retail price. The Dell E7440 improves on the E6430U and feels like a product that will see you well through a number of Ultrabook generations to come. Despite our minor criticisms, the Dell Latitude E7440 has all the hallmarks of a top-flight business machine. Competitive battery life and performance are bolstered by fine connectivity and upgradeability, and Dell has packed the lot into a sturdy yet lightweight chassis. There’s stiff competition in the sector – not least from Lenovo’s innovative, multitalented hybrid, the ThinkPad Yoga – but as a pure business laptop, the E7440 is a resounding success. Positive: Stylish look; comfortable design and good touchpad; good sound system. Negative: Mediocre TN display. The Dell Latitude E7440 is a tough business device. The rugged black chassis provides physical security and comprehensive encryption, strong authentication and malware protection ensure data security. The ultrabook's 14 inch Active Matrix TFT colour LCD with HD resolution uses LED technology. Image quality and colors are good. The hardware consists of an Intel Core i5-4300U dual-core with 3 MB cache clocked at 1.90 GHz, 4 GB DDR3L 1600 SDRAM and Intel HD 4400 graphics controller with shared memory. While this specification is nothing to shout about, it will be more than sufficient for everyday business use. Internal storage comes in the form of a 500 GB hard drive. The Dell Latitude E7440 is a Wimax ready device and features an Gigabit Ethernet port to ensure good network and communication connection. In additon, the Windows 7 64-bit Ultrabook has an excellent keyboard and trackpad that is certainly welcomed in the work environment. Also included is a mini PCI express expansion slot and the entire setup is powered by a Lithium-ion battery. The battery life is mediocre and it takes a long time to charge.